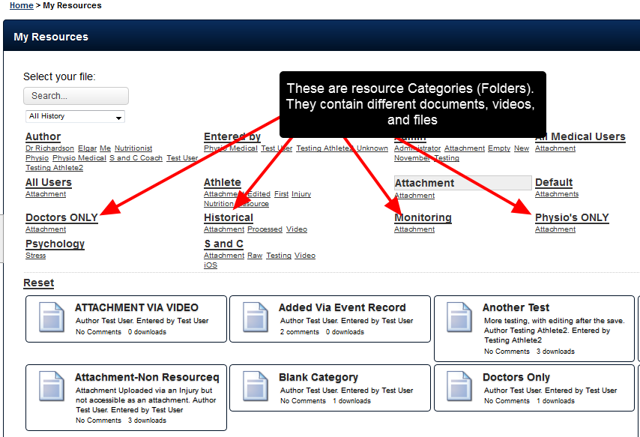 All files stored in the My Resources Module, and all Event Form Attachments set up as Attachments are Resources now have to be added into a Category (Folder) and access to that Category (Folder) is assigned in the User's Data permissions in the Users Role via the Administration Site. This was developed specifically to enable the My Resources section to be a secure and central location to store all of an organisation's documentation, while being able to limit access to specific user groups. 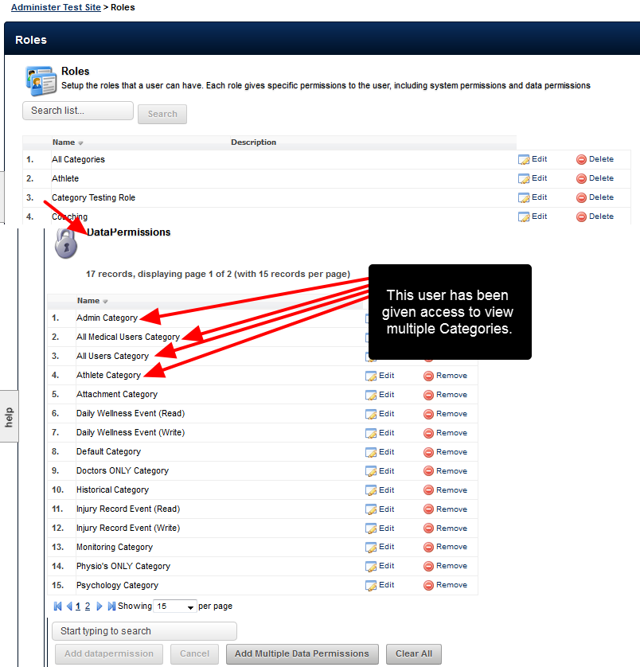 Restricting access to documents is now possible because each user has to be assigned access to each Category (Documents / Attachment Resource Folder) by an Administrator through the Administration site. It is CRITICAL that all administrators understand how the Categories limit access, how Attachment Resources are limited using Categories, and how the Categories need to be assigned. What is a Category? A Category is a preset Folder in which Resources and Attachment-Resources can be stored. Each Category has different documents and files stored in it. For example, the S and C file contains files pertaining to testing, video, iOS systems etc. Each system will have different Categories in the Category's List. These will be set based on the Categories that you require. They will also be set up based on an existing Categories that you had before the predefined categories were built into the system (for more on this see the article on Automated Categories will be created for Existing Resources, you MUST assign access to the correct Categories) . N.B. The Categories Listed are simply the names of the Categories and Subcategories. All documents are still stored on the main application. However, the name of each Category can ONLY be set on the Administration site. This means access to each Category can be set alongside access to Event Forms, Databases etc via the Data Permissions as part of the existing Roles Module. The administrator is updating the "All Category Testing" Role and they have added in the Categories into this Role, just the same as Event Form, Profile Form or Database permissions are added. Any users in this Role will now be able to access the Documents and files in these Categories. 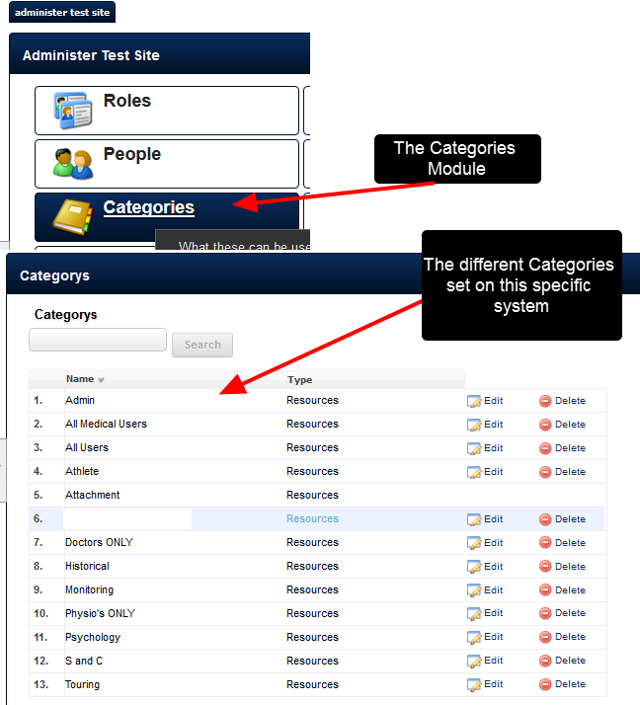 Next: Why do we need Categories (Folders) to be set up on the Administration Site?